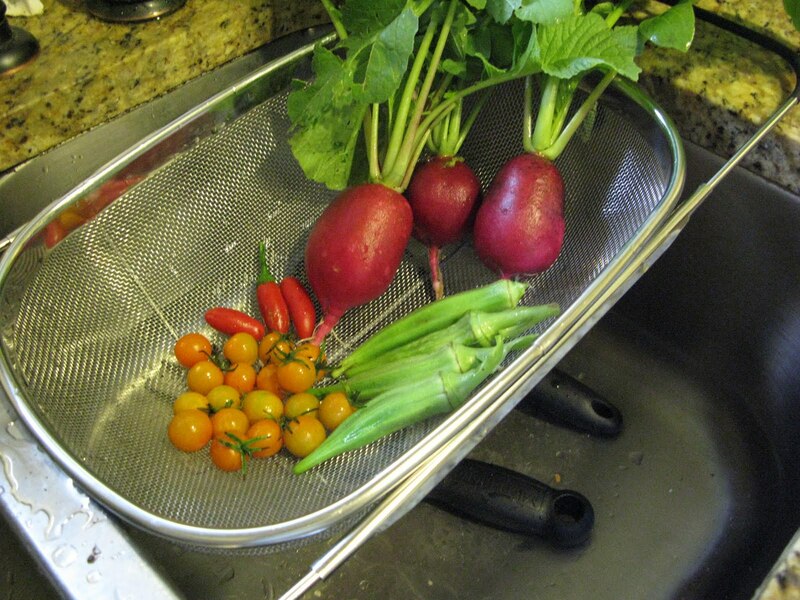 Today I picked the first of my “winter” veggies, radishes! No, I didn’t leave them in the ground too long, these are called “Crimson Giants” and are meant to be the size of a small apple. I’m going to make a salad tonight and decide how I like this variety. I also picked some serranos, cherry tomatoes and okra. The okra is still hanging in there, but the cool weather severely stunts the production.